This would complement the movie by the same title. Did you see it ? It's about the life of Jonny Cash. I love how the lines lead your eyes into the image and the couple. Great image, Charlie! I really like the perspective. Thank you for the feature in the group "Urban Images" Steve! Thank you for the feature in the group "Cityscapes Skylines and Landmarks" MotionAge Designs! Thank you for the feature in the group "Art World Of FAA" Evelyn! Thank you for the feature in the group "3 A Day Waiting Room Art" Luther Fine Art! Thank you for the feature in the group "Art with lines" Sir Josef Putsche! 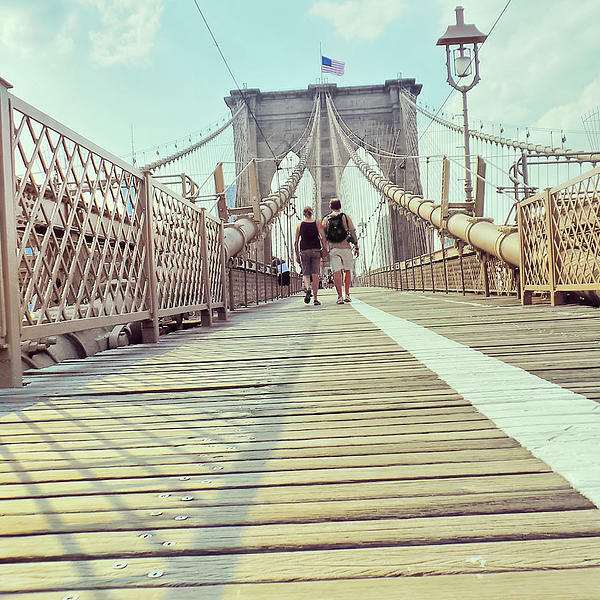 Walk the line along the Brooklyn Bridge in New York City. Unique perspective of this famous landmark in NYC. The American flag flies high above the bridge in the wind on this gorgeous summer day. Artistic view of beautiful architecture in New York. 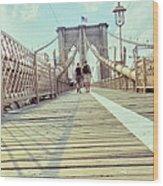 Wooden bridge with both a walking and a bicycle path going both directions; from Brooklyn to Manhattan and back. 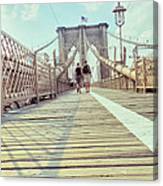 A couple strolls across the bridge taking in the scenic skyline of the city. Contemporary art for home and office decor. 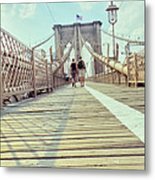 Unique modern wall art printed on acrylic, metal, wood, or canvas. Contact me by email for information on bulk order discounts.